Now that summer vacation is over and the crowds have gone home, it’s a perfect time for locals to explore the city. That doesn’t mean you need to spend a ton of money to find new, fun stuff to check out. This round-up of September free things to do in L.A. will keep you entertained all month long. 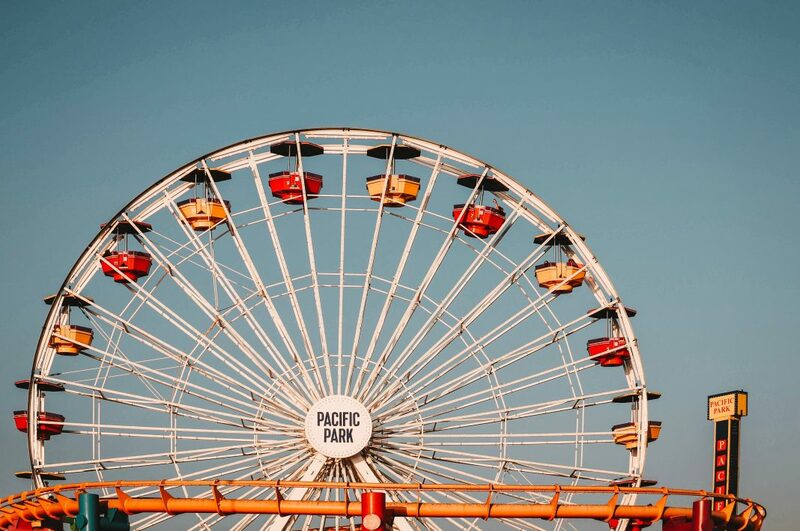 The beloved tradition of free concerts on the Santa Monica Pier returns, albeit in a new format. Now an autumn event, the multi-stage concerts will have more of a street festival feel, with each edition being curated around a particular theme. This month’s themes are Latin Waves (Sept. 5), Australia Rocks the Pier (Sept. 12), Island Vibes (Sept. 19), and Eclectic Indie (Sept. 26). Santa Monica Pier, Santa Monica. Music blogger and radio host Grant Owens presents this weekly residency at Moroccan Lounge. The late-night (11 p.m. to 1 a.m.) party and DJ set offers a time for Owens to pull out the freshest tracks so you can discover new artists before they blow up. Moroccan Lounge, 905 E. 1st St., downtown. Gather in Grand Park for an outdoor movie and and music night presented by Outfest. The program includes a DJ set by Bianca Oblivion, followed by a screening of Outfest Fusion Festival shorts, and then the feature-length documentary When the Beat Drops. The doc, which won the Grand Jury Prize at this spring’s Outfest, explores the dance tradition of “bucking,” and the queer dancers of color in Atlanta who have made it iconic. Grand Park Performance Lawn, 200 N. Grand Ave., downtown. Unique L.A.’s markets are always full of amazing handmade items, but if you’ve ever felt iffy about paying a cover charge just to get in to check out the wares, this is your opportunity to get a free peek. Popping up at the Platform shopping center for two weekends in September, this slightly scaled-down version of the full Unique experience will have you stocked up in style for fall. Platform L.A., 8850 Washington Blvd., Culver City. This outdoor, family-friendly festival of performances and art takes place along Brand Boulevard, outside of the Alex Theatre. Catch music from the likes of Allah-Las and Georgia Anne Muldrow, browse artist booths, sample bites from local food vendors. Special activities for kids include a climbing area, crafts, and workshops. Alex Theater, 216 N. Brand Blvd., Glendale. Alice Coltrane’s 1972 ecstatic spiritual jazz album Lord of Lords was her last commercial recording before abandoning the secular music business entirely and establishing her ashram in the Santa Monica mountains. The music is complex and dense–the ensemble she put together has players on 25 different instruments–and undeniably cosmic. Now, decades after it was made, the music gets its first-ever vinyl pressing. Give it the intent listen it deserves by reserving a free advance ticket to this public debut party. Zebulon, 2478 Fletcher Dr., Elysian Valley. In 2011, Pulitzer Prize-winning journalist Jose Antonio Vargas made a big reveal in the pages of The New York Times: He, like millions of other Americans, was undocumented. Since then, his work has brought visibility to issues of immigration, particularly for young people and those who have built their lives in the United States regardless of their legal status. Hear him discuss his new book, Dear America, with KPCC’s Leslie Berestein Rojas. Balch Auditorium at Scripps College, 1030 Columbia Ave., Claremont. L.A. Phil 100 x CicLAvia: Celebrate L.A. In honor of their first century, the L.A. Phil is throwing an extravagant, citywide birthday party. Free performances will take place at six “hubs” from downtown to the Hollywood Bowl, and CicLAvia will organize a biking route to connect them (you can also use transit or drive to individual stages). The event culminates with a free show at the Bowl, featuring the Phil and some A-list guests (Katy Perry included). Various locations. One of the most popular annual neighborhood street fairs, Abbot Kinney Festival returns for a 34th year. Stretching along a mile of Abbot Kinney Boulevard, the featival has some 300 art and craft vendors, tons of food trucks and tents, three different beer gardens, rides and games for kids, and four performance stages. General admission to the fair is free and ticketless; optional Beer Garden Fast Passes ($35) and KidsQuad Wristbands ($90) are also available online. Abbot Kinney Blvd., Venice.